We figured out fire (ouch & yay), and soon put water near said fire. Look! Bubbles! Hey, those leaves smell good, let’s throw them into the bubbles! Wait, these flowers are pretty interesting, what if we… Well, that worked out. Now, what if we add some candy cinnamon lips? This bring us to modern day, where purists roll their eyes, and the curious fairly ask, but is it tea? No, some of it’s tisane, but that’s not the point. Personally, I’m excited by all the impressionistic flavors, not to mention all the wonderful names they come with. 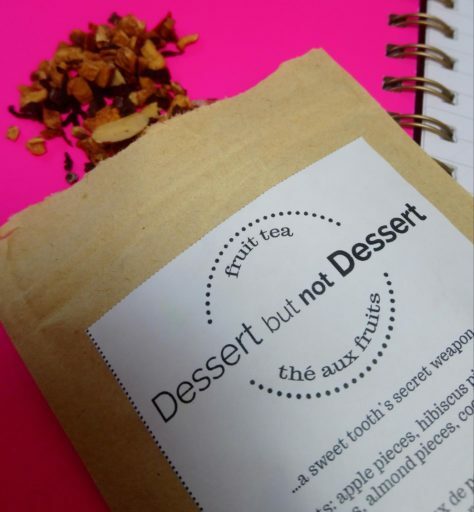 It makes shopping for teas a whole adventure as I explore, sniff, sample, and come home with packages wrapped like bonbons. But sometimes, I don’t wanna. It’s cold, it’s gross out, I’m comfy where I am, screw pants. I still want creative teas though. Now. 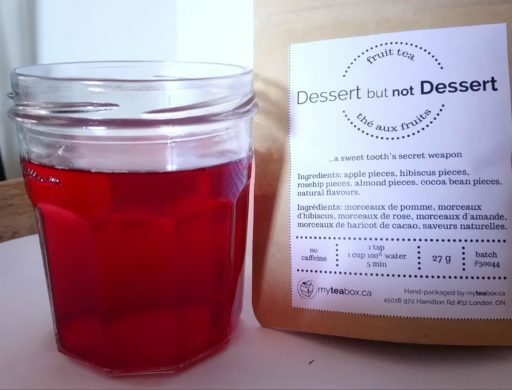 Oh, hi, MyTeaBox.ca, fancy meeting you here! First up, it’s Canadian, and I love that. 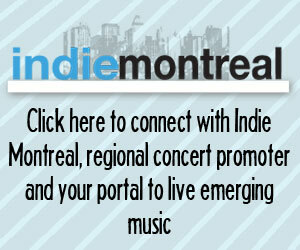 Plus, I’m tired of the sticker shock when online prices convert to CAD and then add exorbitant shipping costs. Another perk, small but important, is that the package fits in an apartment sized mailbox, which is super awesome if you live somewhere prone to thefts, or if your package pick up point is in an inconvenient spot, and I check both of those, so I was thrilled. Good start. Each box comes with three loose tea/tisane blends, and because this was my first box, I also got a handwritten card, and heart shaped infuser. Small touches are almost everything, and this felt really thoughtful. This was the December box, and might I say, I was pretty relieved that there were no chai or “spice” variations in sight. I dig both, but everyone gets a little seasonally flavor specific, and I’m full of them right now, thanks. I found the infuser glitchy, and I couldn’t get it to stay closed. 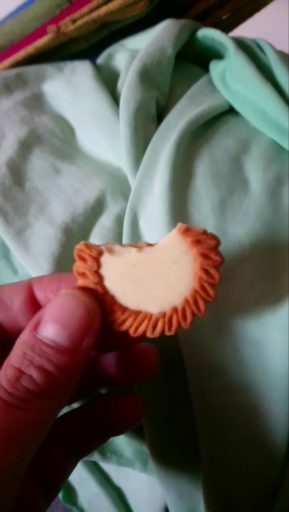 I blamed myself, but my bf tried too, and we never solved it. No biggie, it was a bonus, and probably only the right size for a small cup, anyway. The instructions for each flavor were based on 8oz cups, and I like my tea big and strong, so I busted out my own gear, and started steeping. 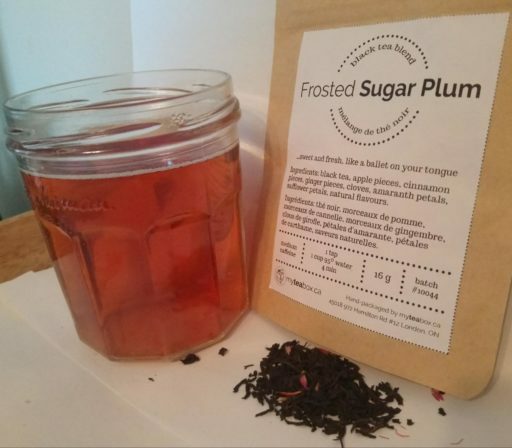 First up, was Frosted Sugar Plum which the tagline called “sweet and fresh, like a ballet on your tongue”. Man, I do love me a good tagline. I don’t love black tea however, so this one was kind of bound to be my least favorite. It was floral, and did help me evoke thoughts of tiny ballerinas on my tongue, but then I wanted them to leave. Not the tea’s fault, and this one was hands down my boyfriend’s fave, proving there’s something here for everyone. Next was Chocolate Mint Perfection, and here’s a flavor that lends more to the drinking than the describing. 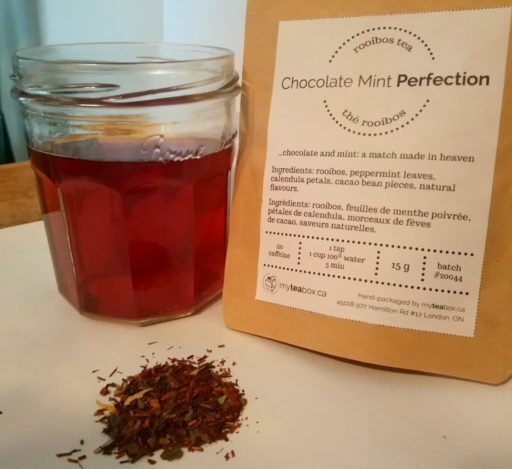 It was perfectly mint chocolatey, wonderfully balanced, and aptly named. My hands down fave was called Dessert but not Dessert, and I’m almost out of it. It was zingy and fruity, and reminded me of summer flavors, and maybe some shortcake, or crumble type thing. It was a vibrant red, which cleared the darkest edges of my winter blues. I let it get cold, and yup, it makes a wicked good ice tea too, all fresh and juicy. This box was fantastic, and super satisfying. As for the subscription, you can prepay (three months, six months, and one year) or pay $24.99 a month, which I would easily spend if I braved the snow, (slush, wind, rain, and whatever else is happening these days) to go find fun teas. 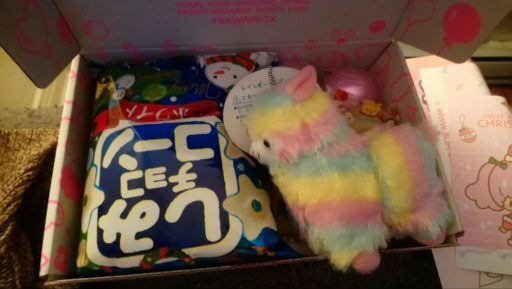 While this box was sent to me free for review, I definitely feel like I got $25 worth of enjoyment, and this one is on my shortlist of Presents I Intend To Buy Myself. When people fantasize about winning the lottery, they talk about things like world travel, lavish homes, fast, shiny cars. If / when I win it big, I will be filthy with subscription boxes. Enough to keep a courier in business just bringing mystery prezzies to my door, preferably daily, if I plan correctly. 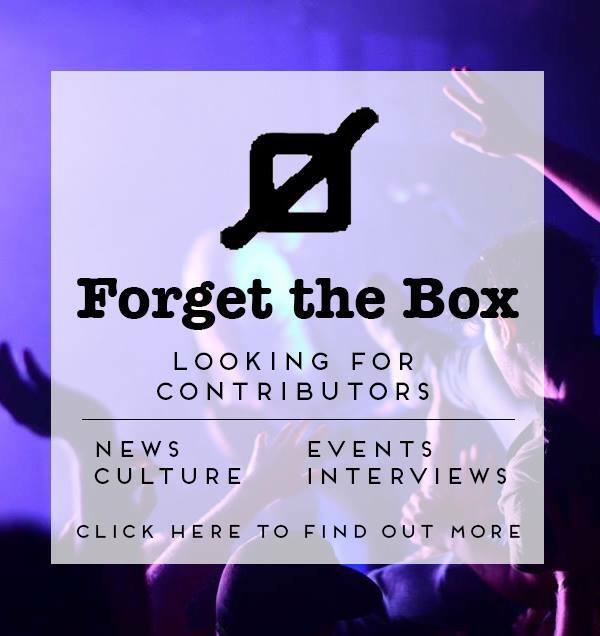 In fact, I will probably need a dedicated Subscription Box Manager to deal with things like timing, finding new, fab boxes, and figuring out how much it will cost to get them to Canada (if they’ll ship here at all). Please note, that the boxes in this series have been sent to me for free and for the express purpose of review. 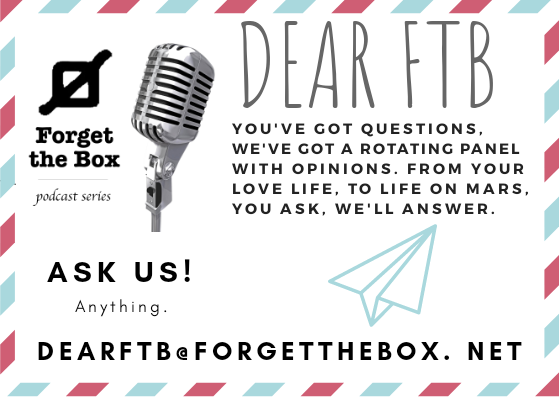 Per their website, Kawaii Box (part of Japanese-owned Kawaii Group) wants to spread kawaii culture around the world, and help you “kawaii-fy” your life, with the belief that “even a tiny dose of cuteness can provide a boost of positivity to our life.” That’s an ethos I can get on board with. 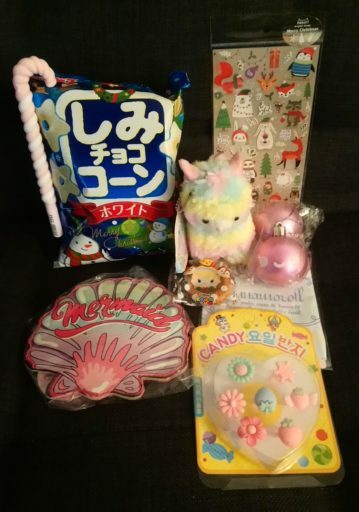 I received the winter / Christmas box, which is an extra perfect time to get fun surprises, and this one was a candy store for my eyeballs! Oki, what all do we have here? 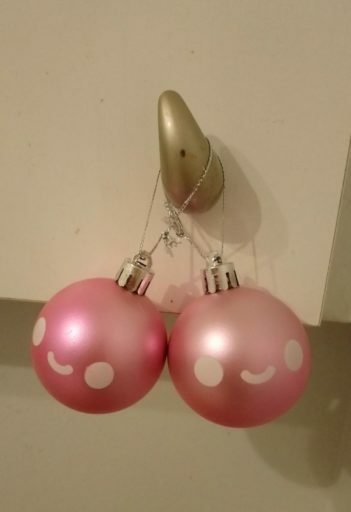 For starters, I received a pair of smiling pink decorative baubles balls. They’re absolutely tree decorations, but considering the look of them, these mamma jammas will be hanging around my house all year long making me happy. There was a pack of Christmas stickers (that made their way into someone else’s stocking, where they were properly appreciated), and also Christmassy was the pink and white candy cane pen. Theme be damned, I’m picky discerning about pens, and this one writes really smoothly, and it’s soft to the touch, so I intend to use this one long after the thaw. 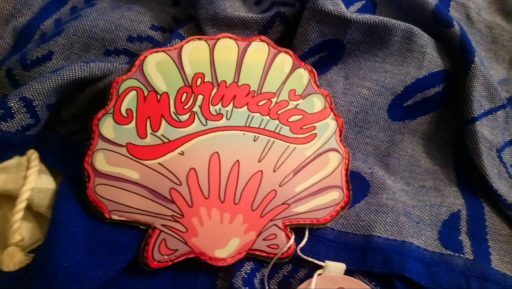 There was also a mermaid change purse shaped like a shell, and I was glad that it wasn’t a unicorn. 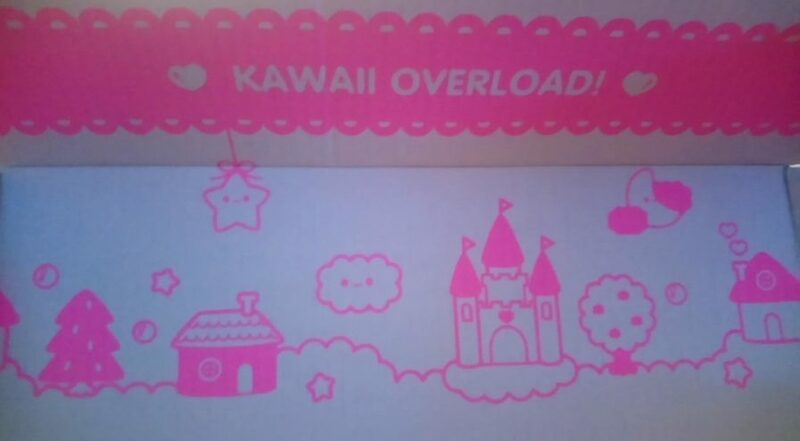 Can you have a kawaii box without Sanrio? 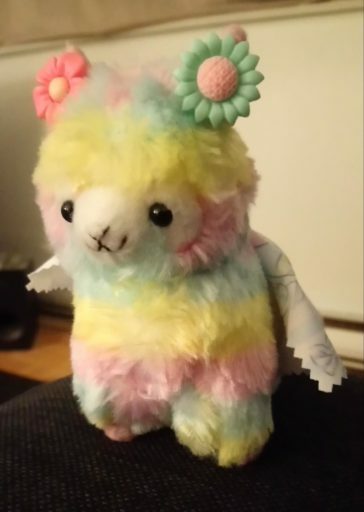 Probably, but I didn’t have to find out, because I got a Cinnamoroll eyeglass / all-these-touch-screens cloth, which naturally doubled as a blanket for the ridiculously cute Amuse Alpacasso pastel rainbow alpaca. Holy smokes, this little dude made my day. It’s impossible to say exactly why, as with any kawaii (or any style group, really), it’s all in how it hits, and this one got me in the feels. It made its way into my bag for a road trip to the East Coast, where it made me smile each time I came across it. When I saw the ring pack, I was ready to wear flowers on my fingers all through the snowy season, but unfortunately, they were the tiny plastic ones made for kiddie party bags. In hindsight, it makes sense, but they really woulda looked so cute on me all at once (they fit my alpaca though). Munchies on the other hand, fit everyone. 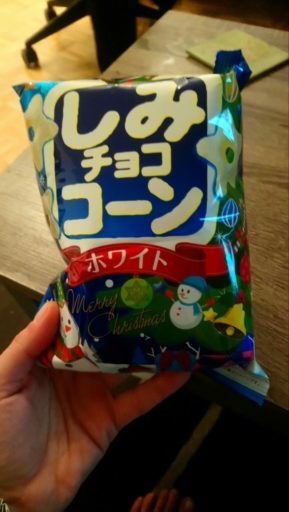 There was a duo of cookies, quite like tea biscuits with chocolate, and while they probably would’ve made another adorable stocking stuffer, I ate them instead, and they were ok. The scene stealer was a bag of tasty, crunchy goodies. While they were akin to oversized cereal bits, they were more than that. 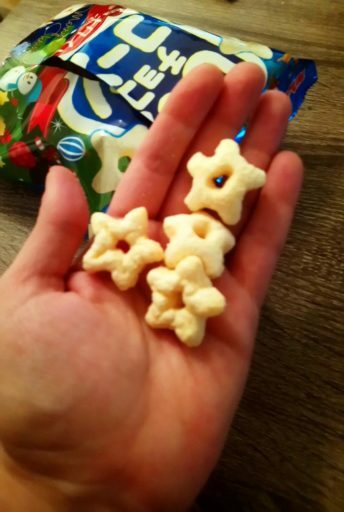 The texture was more complex than just cereal, somehow a little velvety before the crunch, and they were perfectly sweet without being too much. My boyfriend and I ate the bag in no time, and we both agreed that it was probably a good thing that we couldn’t run to the dep for more, or we def would have. Often. And I think that’s what this box is best for: those treats that you’re unlikely to encounter elsewhere. For instance, Kit-Kat is one of the partner brands, and Kit-Kat Japan has so many intriguing flavors and limited editions going on that you’ll never stumble upon here. For me, the box was something of a sugar rush, brightly coloured and short-lived. 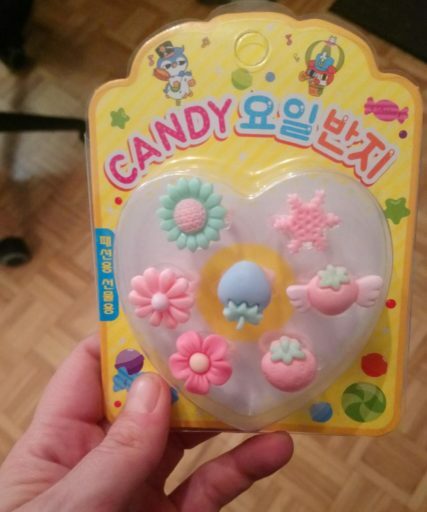 I think it would be best suited for a kawaii minded adult with a li’l one on hand so the smaller trinkets get properly appreciated, while the grown-up eats the good candy, because c’mon, don’t waste good candy on kids. 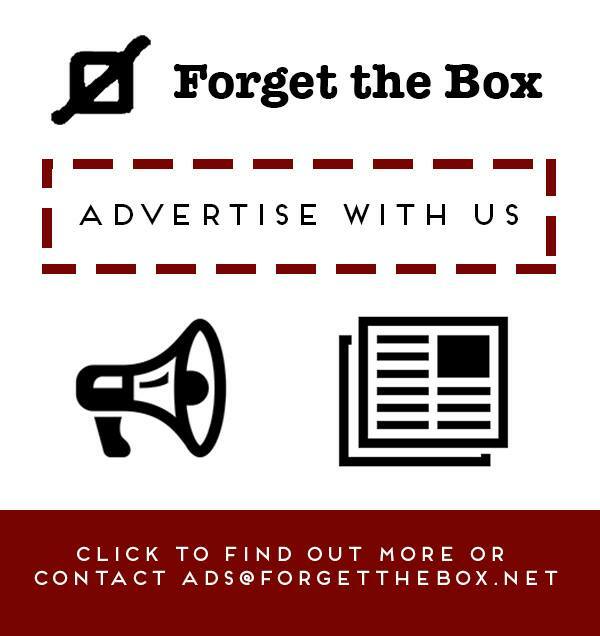 Some of the other partner brands include Disney Tsum Tsum, Pocky, Pokémon, and Pusheen, so open the box while the kids sleep, and keep the best bits for yourself. 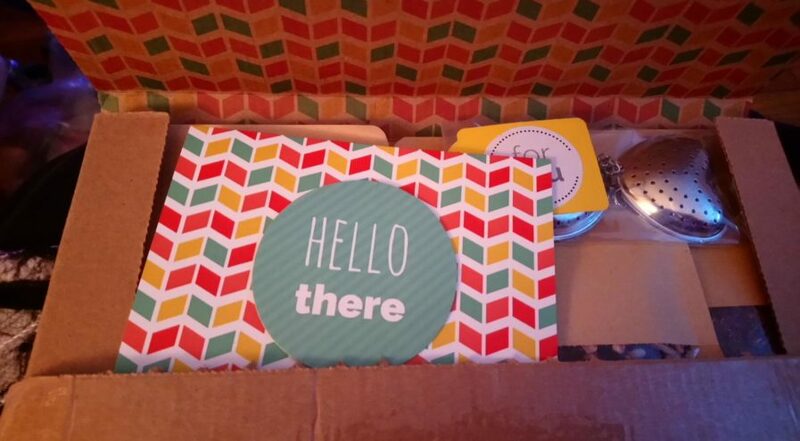 The fab folks over at Kawaii Box are giving one of our adorable readers a free box to spread the smiles!